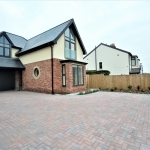 BRILLIANTLY DESIGNED BESPOKE BUILT FOUR BEDROOM DETACHED FAMILY HOME - STUNNING BRIGHT AND SPACIOUS LOUNGE - BREATHTAKING OPEN PLAN DINING KITCHEN - UTILITY AND GROUND FLOOR WC - TWO ENSUITE SHOWER ROOMS - THREE PIECE FAMILY BATHROOM - INTEGRAL GARAGE - DRIVEWAY - BRILLIANT SIZE REAR GARDEN - SOLD WITH NO CHAIN. LOUNGE 15' 8" x 12' 2" (4.80m x 3.73m) Tiled flooring, TV point, radiator, uPVC double glazed window to front and side. GROUND FLOOR WC Low flush WC, wash hand basin. UTILITY ROOM Base and eye level cupboards. Space and plumbing for an automatic washing machine. Tiled flooring. KITCHEN/BREAKFAST ROOM 18' 8" x 15' 10" (5.70m x 4.85m) Stunning open Family Breakfast Room with bi-folding doors opening out onto rear garden. Fitted with a modern contrasting range of both base and eye level units with complimentary worktop surfaces over, drawers and an inset sink. Integrated dishwasher, oven, microwave, fridge, freezer and induction hob. Fully tiled flooring. Skylights. Open through to Hallway. MASTER BEDROOM 20' 2" x 12' 3" (6.17m x 3.74m) Fitted carpet, vertical radiator, full length double glazed window, TV point. ENSUITE 9' 9" x 6' 4" (2.98m x 1.94m) Beautiful fully grey tiled En-suite with walk in mains shower enclosed via a three quarter length glass screen, wash hand basin and low flush WC. BEDROOM TWO 13' 11" x 9' 2" (4.25m x 2.80m) Fitted carpet, radiator, uPVC double glazed window to front. ENSUITE 9' 2" x 4' 5" (2.80-m x 1.35m) Beautiful fully grey tiled En-suite with walk in mains shower enclosed via a three quarter length glass screen, wash hand basin and low flush WC. BEDROOM THREE 11' 9" x 9' 1" (3.60m x 2.79m) Fitted carpet, radiator, uPVC double glazed doors opening onto a Juliet Balcony. BEDROOM FOUR 11' 9" x 9' 1" (3.60m x 2.79m) Fitted carpet, radiator, uPVC double glazed doors opening onto a Juliet Balcony. FAMILY BATHROOM 9' 4" x 6' 0" (2.85m x 1.83m) Beutiful fully grey tiled family bathroom with a shower over a panelled bath protected via a sliding splash screen. Wash hand basin, low flush WC. Frosted uPVC double glazed window to side. 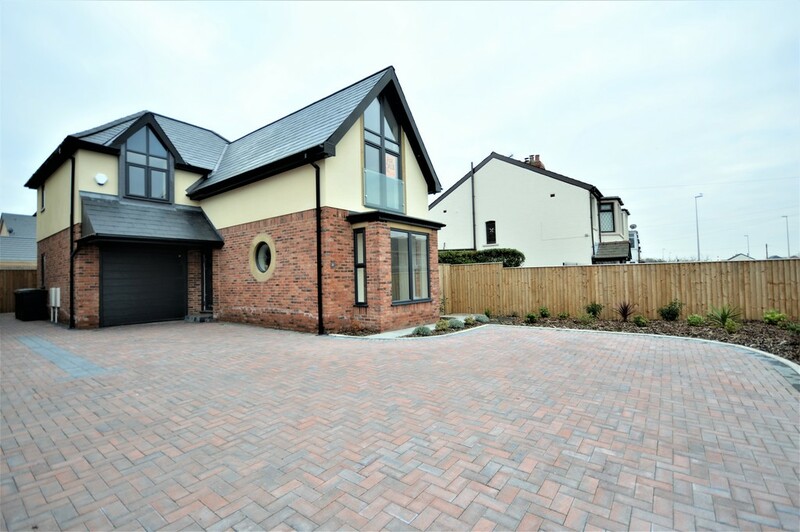 EXTERNAL Spacious driveway to front providing off-road parking for multiple vehicles. To the rear there is a generous size rear garden with a paved patio area and predominantly consisting of laid lawn and enclosed via a timber fence with side gated access. INTEGRAL GARAGE 13' 11" x 9' 2" (4.25m x 2.80m) Integral garage with power and light. Internal access via a side door. Up and over automatic roller door to front. Housing the gas combination boiler. Send details of White Lodge Mews, Midgeland Road, FY4 5GQ to a friend by completing the information below.